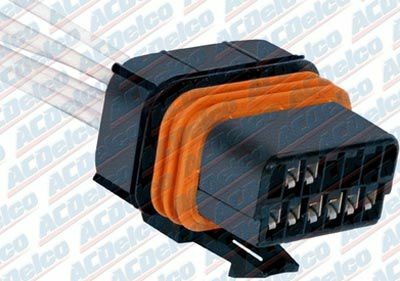 ACDelco GM Original Equipment Ignition Control Module Connector is a GM-recommended replacement component for one or more of the following vehicle systems: ignition, starting and charging, body-electrical and lighting, and/or engine fuel management. This original equipment connector will provide the same performance, durability, and service life as your factory original equipment. I had never heard of Autoplicity until I started shopping for an exhaust. I didn't think I was going to find the one I wanted at a decent price. Not only did they have my exhaust at a screaming deal, they had it to my door in perfect shape in 6 days including the evening of purchase and a weekend. I'll definitely look at buying from them again.